Billings is located centrally between Denver, Salt Lake, Calgary (550 Miles) and between Minneapolis and Seattle (750 Miles). Billings has a service market for a 600,000 people, bringing shoppers from Eastern Montana, Western North Dakota and Northern Wyoming. The medical professionals and treatment options is equal to Mayo Clinic in Rochester, MN. Billings has two large hospitals, St Vincent and the Billings Clinic which are the largest employers in Billings. We also service the energy industry with Cenex, Conoco-Phillips, and Exxon Refineries. Situated just 300 miles from the Bakken oilfields, many of the families relocated to Billings. Along with services, medical and energy sectors, Billings also is a regional hub for agriculture. Billings residents enjoy the NILE (Northern International Livestock Exhibition), the MATE (Montana Agricultural Trade Exhibition), and the PBR Rodeo (Professional Bull Riders), all occur annually. 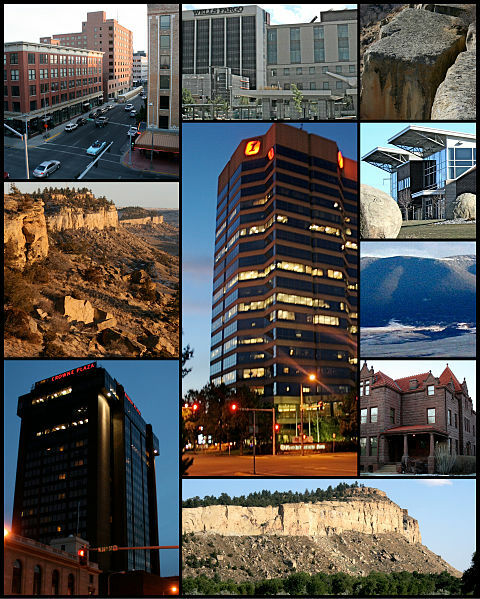 Billings has a diverse economy which protected us from the rather extreme recession of 2008. Besides our diverse Economy, Billings offers 62 developed parks with walking/biking trails spread over 1183 acres that fosters healthy living. With 16.3 miles of developed trails, the Heritage Trail system continues to grow. With so much to offer, Billings earned the number one spot from Outdoor Living as the top city in America for outdoor living! From Zimmerman park on the Rimrocks to Riverfront Park at the Yellowstone River, there is much to discover and love. Educating and empowering our youth is also a high priority. The public school system currently has over 16,000 students enrolled from Pre-k through 12th grade. There are 22 elementary schools, 4 middle schools, 3 high schools and the Career Center. Billings Catholic Schools also offers k-12th grade with a new K-8th grade school planned opening of Fall 2017. The city is also home to Rocky Mountain College, a private liberal arts college started in 1878, and a Montana State University Billings Campus, a joint campus with MSU. Entertainment and the arts is alive in Billings. With live theatre and art studios our downtown district offers variety and enrichment. The Alberta Bair Theatre, Billings Studio Theatre, and the NOVA center all feature live productions. Music from Western, Pop, Blues, Opera, a Symphony, and small 2-piece sets can be found throughout the City. Billings welcomes you to come and explore. Meet our residents and discover the many riches Billings can offer you and your family.